The Training Floor is where all the large scale simulations are based. There are a range of Orbiter and Space Station simulators and Mission Control rooms. The largest of these is the Enterprise (shown below in the top left) which is an almost full size orbiter with payload bay and satellite. 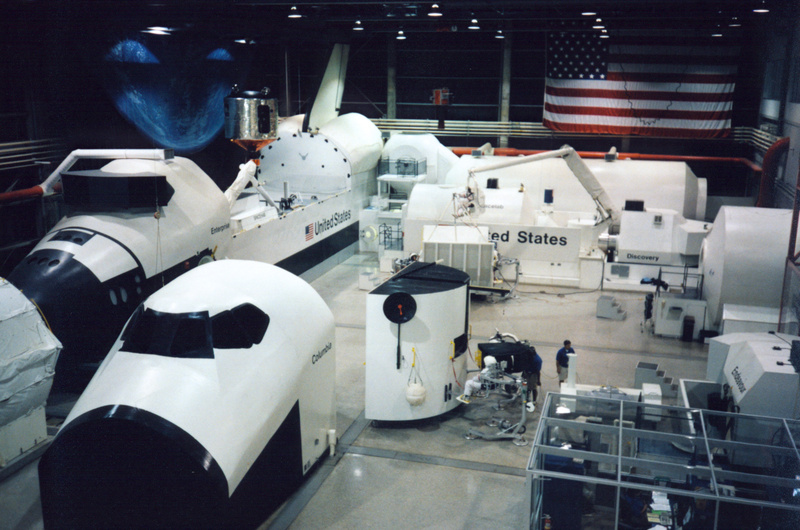 Top right, just under the US flag is the Space Station simulator.